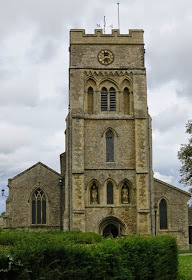 Early in the morning on Saturday 30th August, a group of Stretham ringers set out on a tower tour. Ringers from other towers, who regularly support the practice nights at Stretham, also joined the group, making a total of 14 ringers. 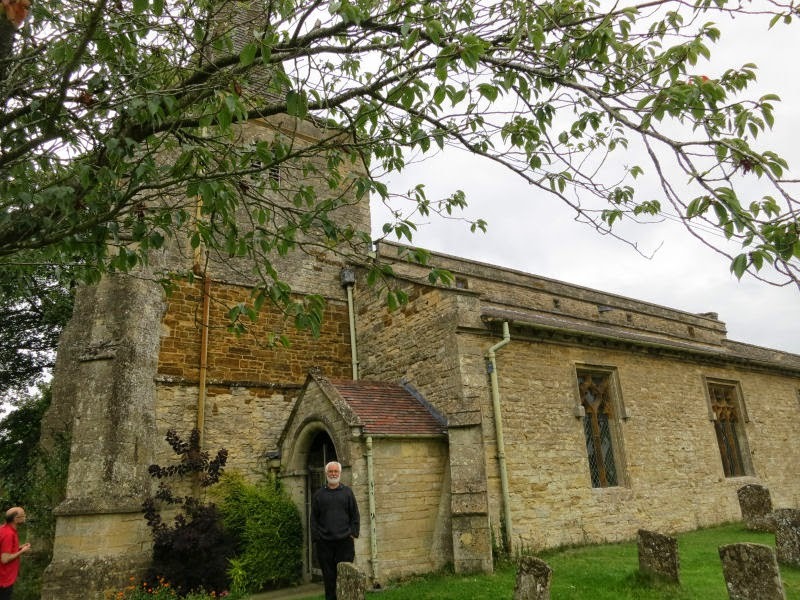 The chosen location for the tour was Northamptonshire, starting at Aynho where we were greeted with cups of tea and coffee, and homemade scones with homemade apricot jam, made with locally grown apricots, for which the village is famous. The church of St Michael, Aynho, is an interesting building. 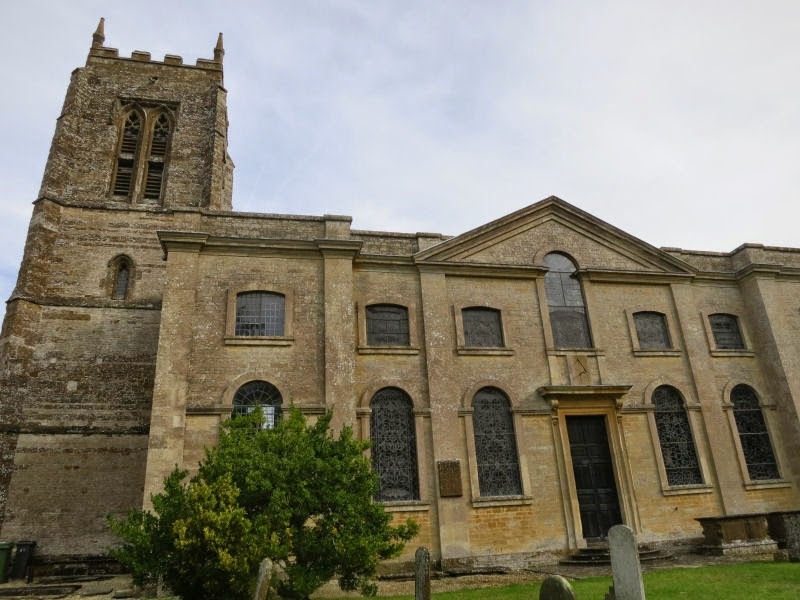 The tower dates back to the 14th century, but the main body of the church was rebuilt in the 18th century, in the English Baroque style, looking rather more like a country manor house than a church. There are eight bells in the tower, with the tenor weighing a little over 16 cwt. An interesting feature in the ringing chamber is the guillotine door from the steps into the chamber. The bells handle nicely and some reasonable Call Changes and Plain Hunt Triples were rung. 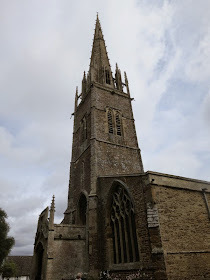 King’s Sutton, St Peter and St Paul, is a fine church with a splendid steeple almost 200 feet tall. We had been warned by many about the “46 steps” up to the ringing chamber, but we took these in our stride. This is another eight-bell tower, with a 14 and a half cwt tenor. The tower does sway quite a lot, particularly when ringing in rounds, but the bells go very well and sound good. There was a creditable attempt at Plain Bob Triples as well as some more Plain Hunt. 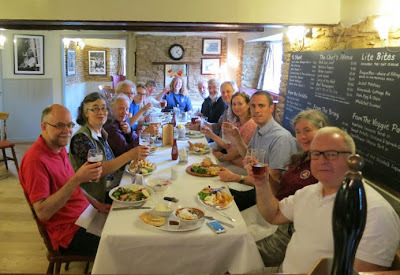 After a very enjoyable hour of ringing at King’s Sutton, we were all feeling hungry and adjourned to the nearby village of Charlton where we had an excellent lunch at the Rose and Crown. 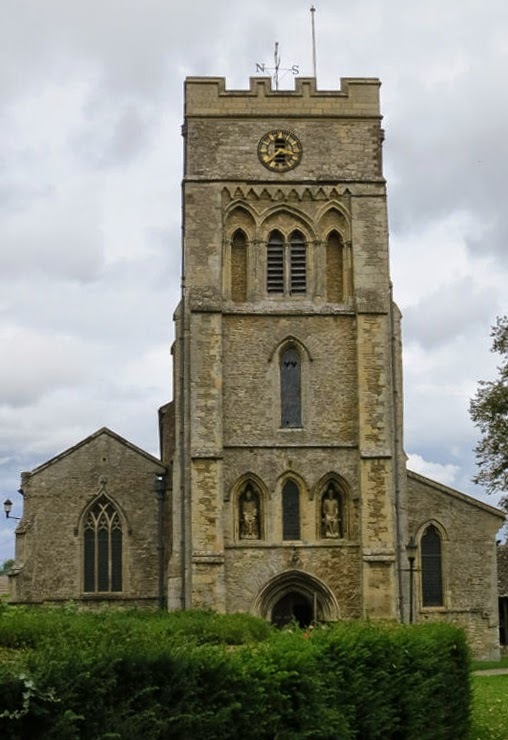 The first tower of the afternoon was Brackley, St Peter, the last eight-bell tower of the day. 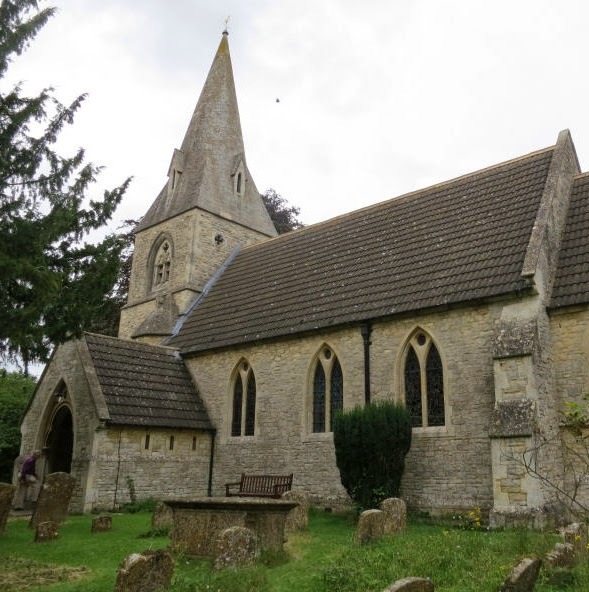 Parts of this church date back to about 1100, although the tower is 13th century. Access to the gallery ringing chamber is through a trapdoor. The ringing chamber affords a good view of the church. Because of the size of the tower, the bells are hung on different levels, making some of them quite difficult to hear. Nevertheless, we managed to ring some reasonable Call Changes and Plain Hunt Triples. From Brackley we moved on to Whitfield, St John the Evangelist, a light six-bell ground floor ring, with a 7 cwt tenor. This is a very pretty little church, with windows designed by the William Morris Company. These bells are delightful and all enjoyed ringing them. We rang a touch of Plain Bob Doubles and some Grandsire Doubles as well as Call Changes and Plain Hunt Doubles. And so to our final tower of the day; Syresham, St James was added almost as an afterthought. It is a 9 cwt five-bell tower, anti-clockwise, so something of a novelty, but proved to be a real gem. The wooden bell frame fills the tower, from the ground upwards, so the ringing chamber, accessed by a ladder through a trap door, is actually part of the frame itself. The bells were really nice to ring and sounded very good. Most of the group had never rung on an anti-clockwise ring, nor, indeed, on five, but we managed well and produced some reasonable Plain Hunt Doubles, and even Grandsire didn’t go too badly. Thus ended a most enjoyable day out.